Price your panels online, and request a detailed roofing quote. We ship your panels direct to your job site within the contiguous United States. 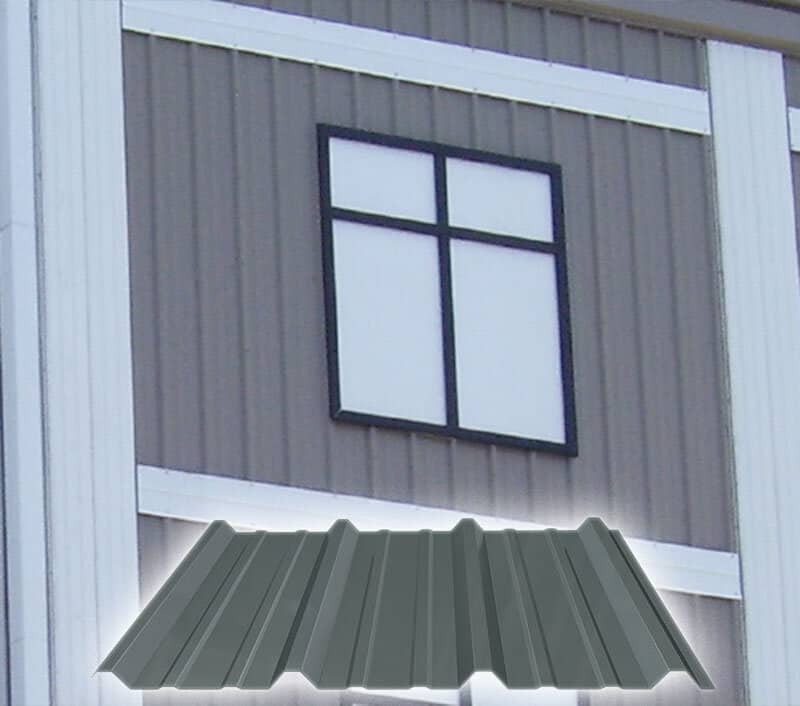 The 16″ Standing Seam minor rib roofing panels are designed as a vertical roof panel. 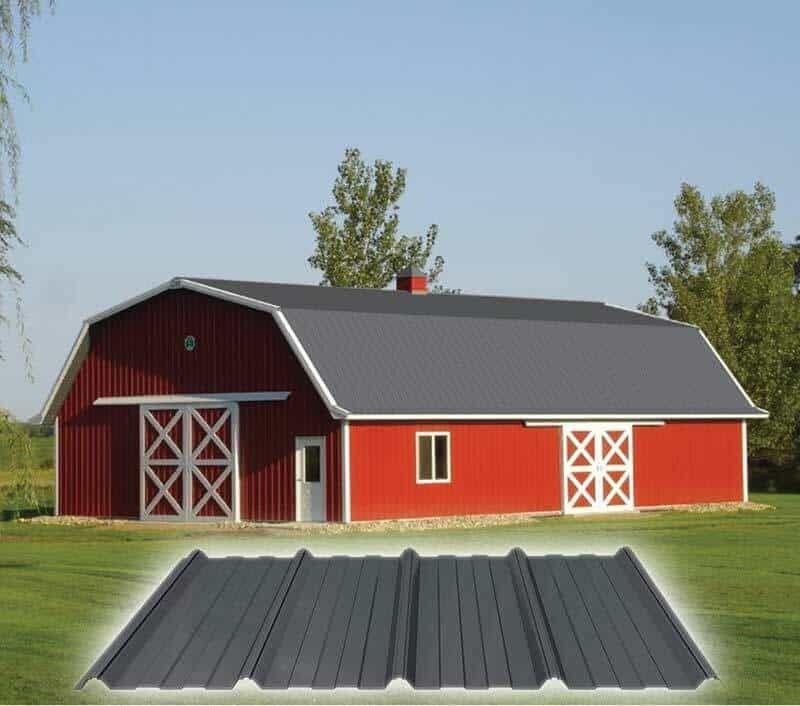 This style of premium metal roofing is designed to conceal fasteners creating a sleek, durable steel roof. 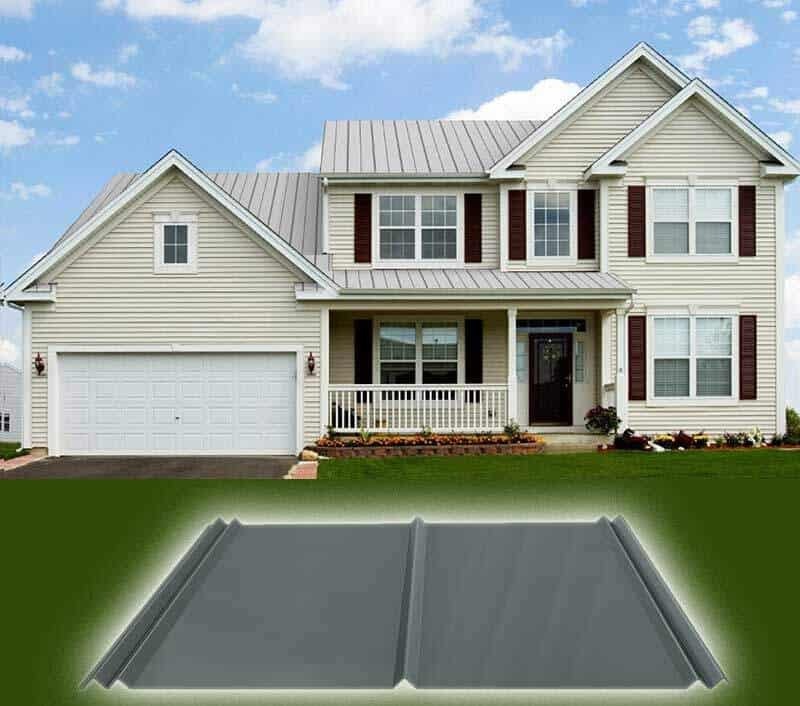 Homeowners are confident in this classic style metal roof because it protects against all weather conditions while delivering value, beauty, and performance. 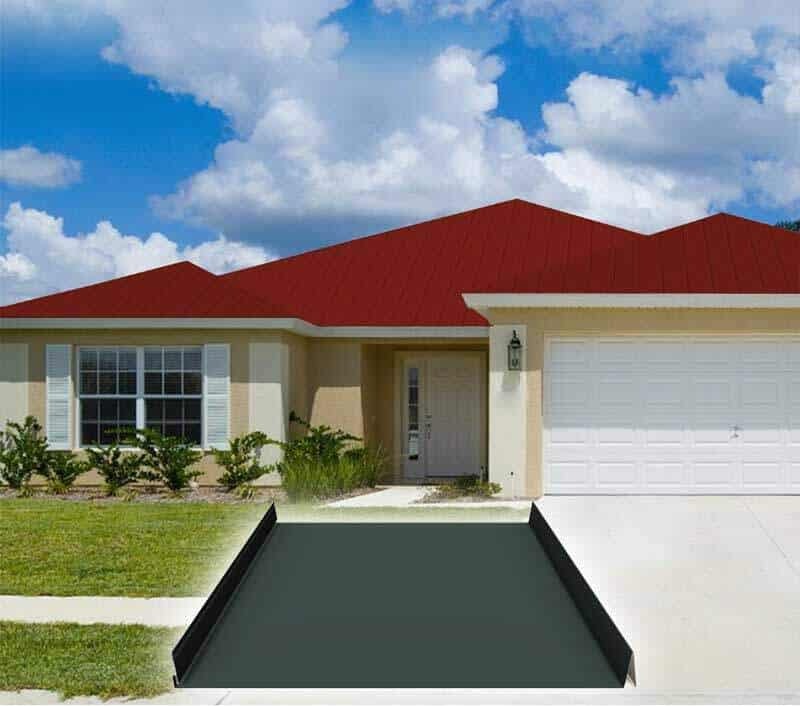 Fireproof and durable, metal roofs are an investment for a lifetime. 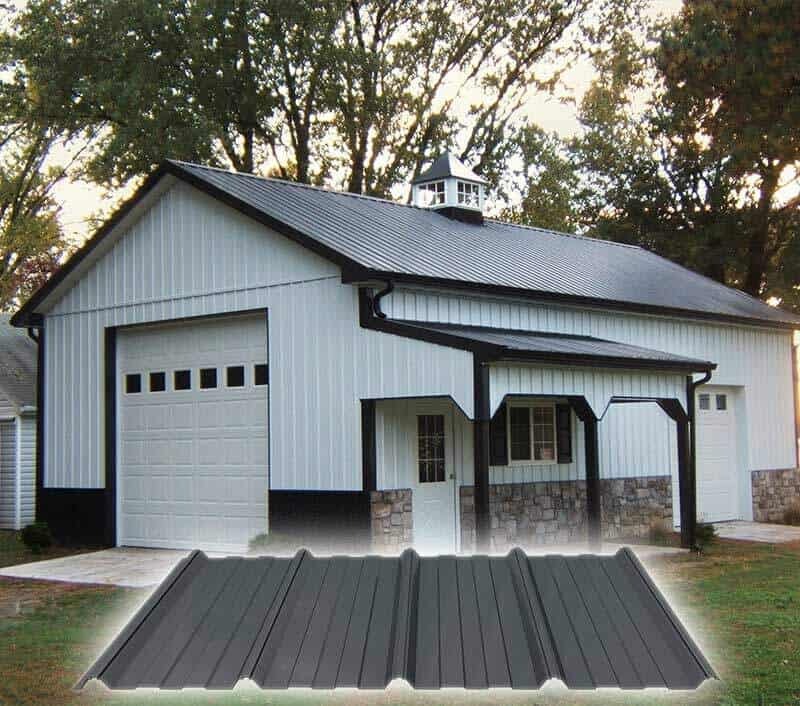 Tough steel construction makes the MP Panel an economical yet durable metal roofing or metal siding solution for residential, industrial and commercial structures. 29 gauge only. For commercial and industrial projects, this deep rib panel is a great fit. The 26 gauge steel of the PBR panel creates a strong panel that is enhanced by a purlin bearing leg. It is available either unpainted or finished with a high-performance Enduracote paint system. Attractive with clean traditional lines. 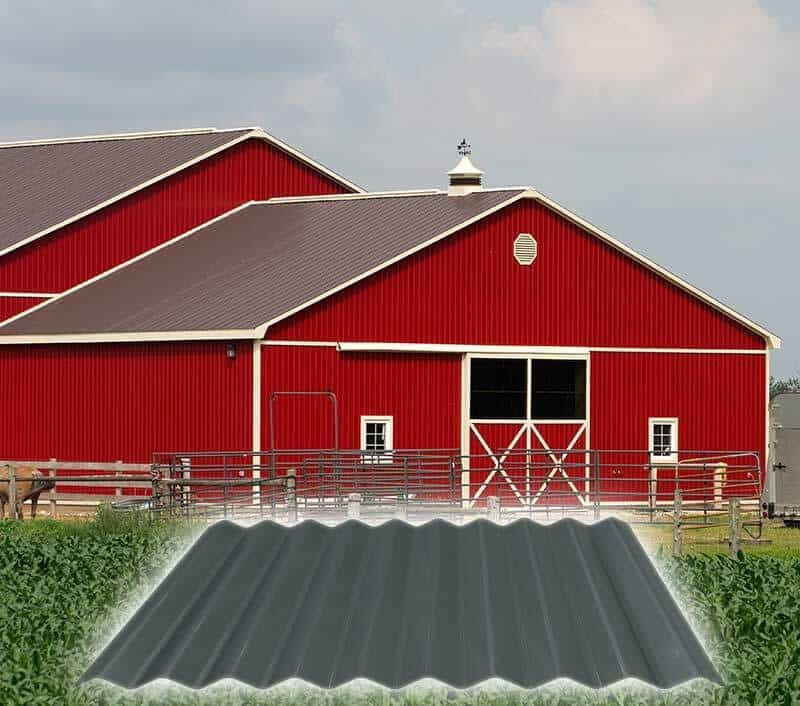 Premium 5 Rib panels are manufactured from only the best quality structural steel available. 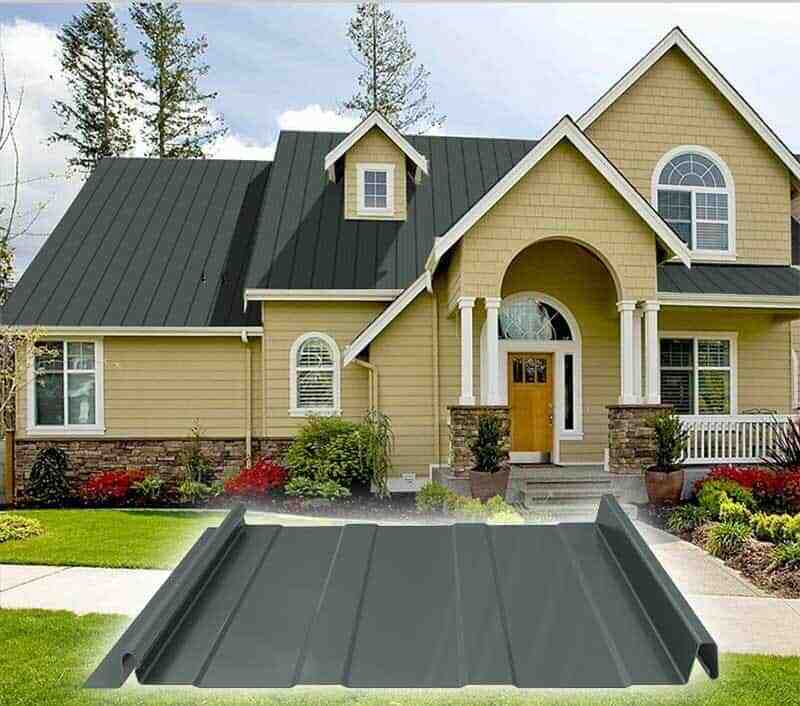 Perfect for roofing or siding. Available in 29 gauge and 26 gauge metal panels. GrandBeam® offers you a horizontal metal panel design and is engineered to offer a beautiful style with superior performance. Great for roofing or siding. This panel is designed for light commercial buildings with a minimum pitch of 2½:12. 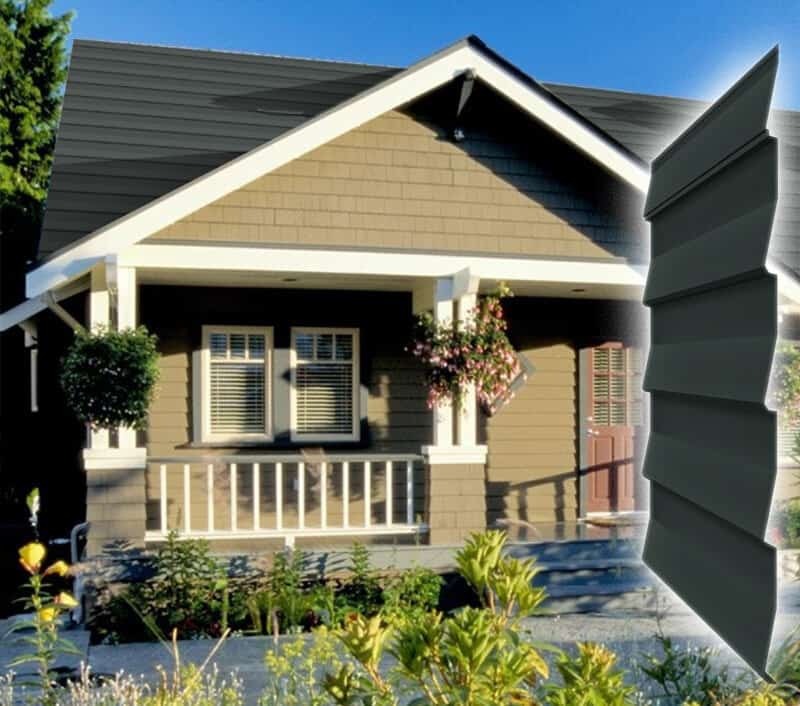 Available plain or finished (26 gauge only) with the high performance Enduracote paint system featuring an Energy Star® approved standard color offering. 5V Crimp panels are a simple yet beautiful solution to your residential and light commercial roofing needs. 5V Crimp’s high strength steel and light colors will maintain their good looks for years to come. 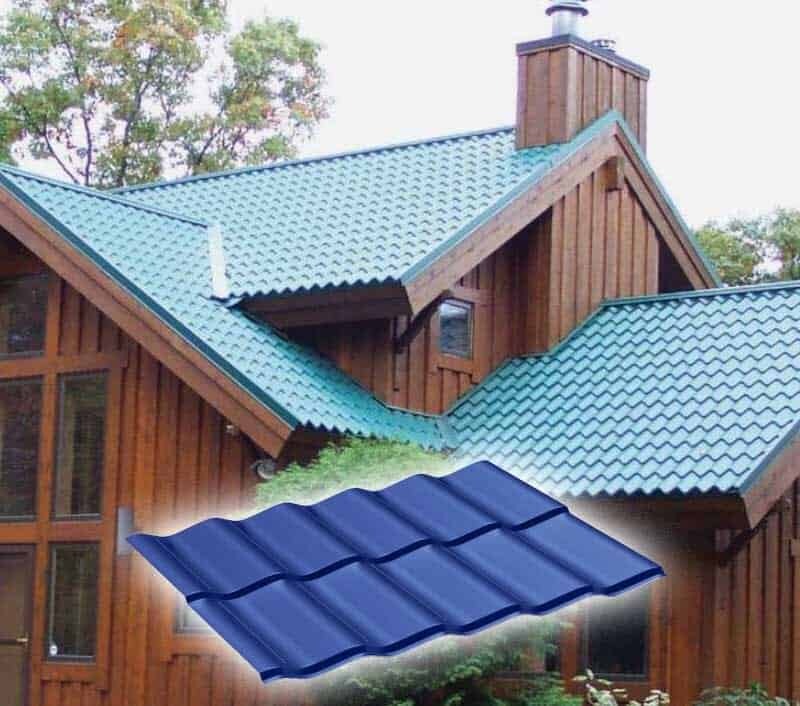 The Met-Tile roofing panel provides the appearance of ceramic tile roofing but carries none of the traditional disadvantages of ceramic tile (in particular, the weight). Minimum pitch recommended 1 1/2:12 with sealant or 3/12 without sealant.